1/2 Anni & My Birthday Trip in May - NEED HELP! Hi everyone, I have a quick question. My husband and I are going to Disney from 5/24-6/1. My birthday is the 24th. 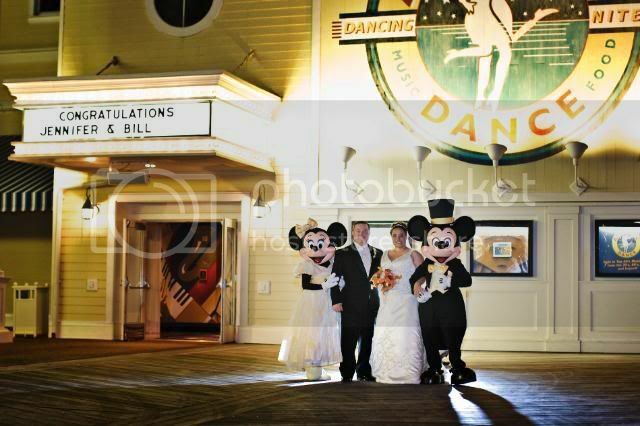 We just got married in Disney in November. But we won't be able to get back for our anniversary. So we're taking advantage of our APs then. Does anyone have any idea when the AP rates come out for that time? Also how much it would be for a room at like Coronado Springs? Anyone have any experience at Coronado Springs. My husband and I have stayed at OKW, BW, ASSports, CB. I have stayed at ASM, POR, POFQ, in addition to those places. It would be our first time staying there, I've heard mixed reviews. But it's where he really wants to stay. Last edited by pcjenn; 04-22-2008 at 02:43 PM..
Just wanted to add my welcome! I adore your sig photos! Absolutely beutiful! Any chance you'd put together a little trip report with photos for this forum, and future couples who'd be planning a DFTW? Last edited by wdwlovers; 01-17-2008 at 02:21 PM.. Thanks I will definitely check out mousesavers. Denise- I'd be happy to. I am in the process of my trip report on other forums at the moment. Would you like a trip report from my planning session as well? I'd be happy to help in any way that i can! Should I be posting the recaps from the wedding trip in the Trip Report section, or in the Wedding section?? My trip report from the planning session trip is all completed and up in the Trip Report section. Alright, much to update here! Well we originally booked at Coronado Springs, and hoped that once we get a passholder discount that we'd be okay with the $1600 for 8 nights. Then we realized, since we're there during a holiday- there may be no discount. With that being said we looked into what it would be to have a Dining Plan, and how much money we'd save that way, vs. our Dining Experience card with our APs. 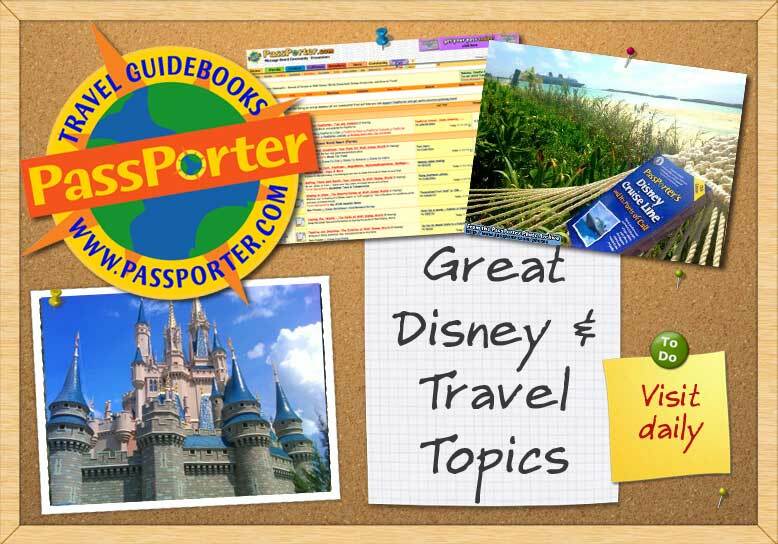 Well once it was added up, our travel agent said it was $2400 total with the room and Dining Plan, HOWEVER- that if we wanted to do the Dining Plan and stay at Pop Century- it would be $1600. We liked that price better, and opted to go for it. Figuring as $600 for the both of us for food the whole time we're there, when we could spend $100-$150 on dinner a night- easy. We decided it was def. for us, even if just this once! I'm pretty psyched about it and have all of our reservations set up, including a fake one so that I can fool Billy. I am surprising him, actually it magically ended up being that the only night they could work it out for us happens to be the anniversary of the day he proposed to me. So that is when it will be. We are going to be at UK Pubside at 7am, for a special private dinner and dessert with prime viewing of Illuminations. I'm very pleased with the results, as I've seen in several places they can't do hot food or dinners- but when I was speaking with my planner, Epcot approved it. We are having ceasar salad, petite penne with shrimp in spicy marinara for app, then surf and turf for dinner with a little dessert tray. It's about $300 total for all of that (including small party fee) which isn't bad in my book. We could spend that at Shula's!!! The Pepper Market there is fun also with lots of food too choose from!! I am sooooo bad, I can't beleive I haven't updated this (well I can believe it.... the days run into weeks, etc.) SO much has changed. We have changed our reservation and we'll be going to stay at Pop Century. We were able to add the dining plan, as Annual Passholders can do this for a "room only reservation" now. So it was $1600 just for the stay at Coronado Springs about $2400 with the Dining Plan. For Pop Century our rate was $1600 with the dining plan and the stay for 8 nights. ALthought I don't want to really stay at a value, I heard that this one is the best, and honestly it allows me some more freedom with money to do more things! With the Dining Plan- here's our plans for meals, I also put the Tour in there too. We will be having a special spot at UK Pubside for a Private Dinner. It is $285, we will get there around 7. That includes the $50 small party fee. I'm soooo super psyched. We were planning on def. doing the Sea Raycer, I think we may do that on Saturday after breakfast at Chef Mickeys actually. We have done them from OKW around DTD in the past, I'd love to do it on the 7 Seas Lagoon- so we can go around the WP and what not. We will probably do the minature golf too. We are both so much looking forward to spending 9 days and 8 nights in the World!!! Ahhhh esp. since we didn't get to do much on our wedding trip! Thanks so much. We are both REALLY REALLY looking forward to getting away and really enjoying the world again. Although we were there for the wedding- we literally went to 2 parks and only on 1 ride. So before that we went for our planning session, only had about 2-3 days in the parks... but before that it was 2 years prior- our first Vaca together- it was in August, and Hurricaine Charley came. But we did have a good time. So it'll be nice to get there- no rental car, and just explore and enjoy. We're so thrilled. So the contract and beo have been signed and submitted with payment- which has cleared my bank account. I now need some help with ideas of little things I can do leading up to the surprise, like hints? Any ideas?? I know Sarah has done something in the past. Anyone? Saturday, May 24th - MY BIRTHDAY DAY!!!!!! Resort: Pop Century - we requested the 50's building 3rd or 4th floor and a fridge. Hopefully one of my great friends -Tiffani and Harlan will be staying through that weekend. She is a Disney Bride I met on a board that helped me tons, she is like a fl. version of myself. They have their anniversary cruise and get back that Friday (day before) If so- we plan on meeting up. Most likely Raglan Road. Keep your fingers crossed that we will get to meet up- it would be nice to celebrate both our birthdays. Then head over to Epcot. Tuesday, May 27 - SURPRISE DAY!!!! I would like to try and figure out some sort of scavenger hunt for him that day, that would give hints and lead him to our location. Of course starting in the morning, and coming back to shower and get ready then go to the location. I need some help with that. We have our private party scheduled at the UK Pubside for 7:00pm I believe. No real plans, other than going to Biergarten- it was the one place that Billy really wanted to go to. I don't know why? He's so weird. No real plans that day, probably head to MGM for the day. Friday, May 30- WOOHOO KEYS TO THE KINGDOM! After dinner we'll probably head back to MK as I believe they have EMH. Gaff's and the Burns hang out all day! Sunday, June 1- SAD PANDA DAY! We have to go home. So from here on out I'm going to plan on doing something every weekend as a "hint"
"To my Love Muffin, I'm looking forward to our special vacation, less than a month to go"
Then the following Saturday- I'm going to make him Mickey Head Pancakes, with some ENGLISH Breakfast Tea- and write a note saying. "Boo Bear (yes that's a nickname for him) I'm looking forward to brewing something special on our vacation"
Then the following weekend he is going away on the Annual Gaffney Men Fishing Trip. So I was thinking of buying a 6 pack of English beer for him to bring with him. With a little note- but I don't know what to say. Then I have one more weekend - I haven't figured out what to do. We will be in the city on Friday night- going to the Phillies game with the in laws, then on Saturday at Finnegan's Wake for a Police Benefit til about 5. So I was thinking of taking him to an English Bar in the city- Dark Horse, and maybe grab dinner- I think they serve food there. I'm not entirely sure. So I'd like to then figure out what to do for Saturday (my birthday), Sunday, Monday as clues to lead up to a potential Scavanger Hunt on Tuesday. I do have the Treasure Hunt Passporter, I plan to consult that this evening! Those plans sound terrific Jenn! We'll miss each other by a week or so.